Here’s post 4 of 4 in a series at the #NCTM #MTMS Blogarithm Blog. Don’t miss the chance to snag several ready-to-go lessons, featured in this post, to try with your own students. While many digital tools can capture student thinking well, this post features ways to use Nearpod in conjunction with tasks inspired by Dan Meyer’s 3-Acts strategies. 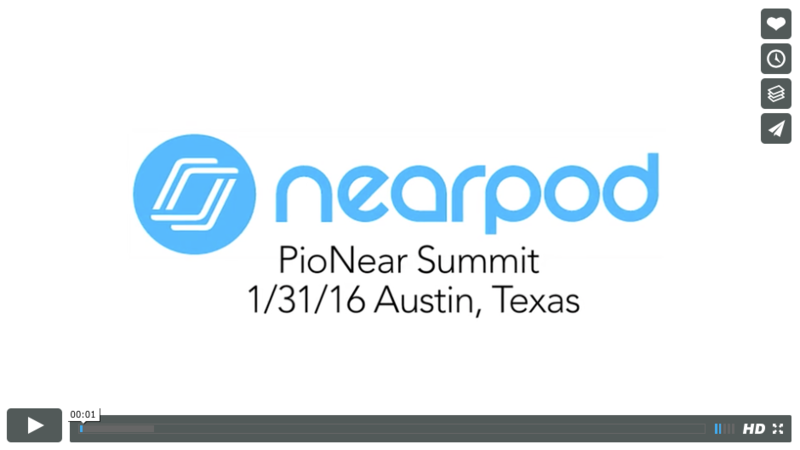 On another note, I was honored to attend the Inaugural Nearpod PioNear Summit here in Austin a month ago. Highlights from our day are captured in the video here. This entry was posted in Algebra 1, Pre-Algebra and tagged #MTBoS, Algebra, anchoring activity, assessment, communication, Dan Meyer, formative, iPad, mathycathy, NCTM, nearpod, problem solving. Bookmark the permalink.